From bucket-and-spade seaside spots to rugged and remote coastal coves, we’ve got your summer weekends covered. 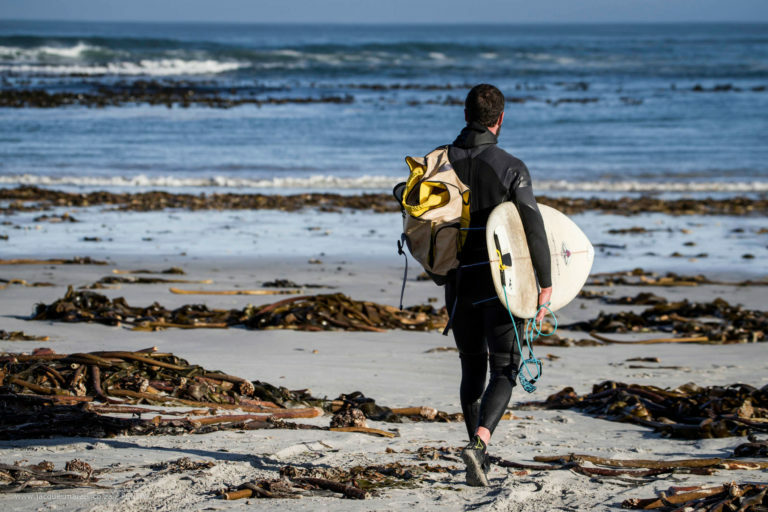 There’s a reef or beach-break option for surfers off the main Hondeklip beach. Hondeklipbaai (Dog-Stone Bay) was named after a rocky outcrop that apparently resembles a dog – but probably only after a solid session of Klippies and Coke. 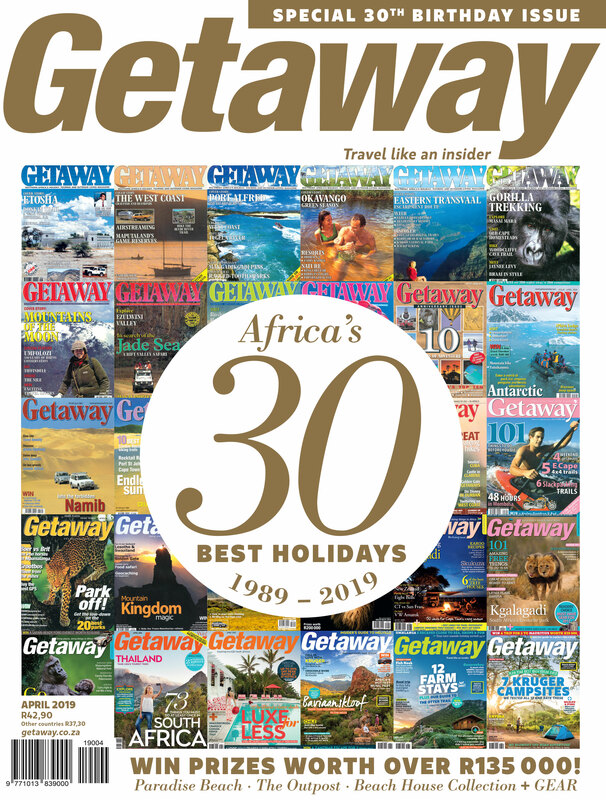 Be that as it may, this West Coast hamlet brims with characters and attractions, and has, over time, achieved legendary status as one of the Northern Cape’s premier seaside holiday destinations. A rather topsy-turvy history has seen the town go through a number of booms and subsequent collapses – copper, crayfish and diamonds – before settling on tourism. At first glance, Hondeklipbaai appears a bit haphazard, the beauty of its 14-kilometre beach not immediately tangible. The West Coast has a rough edge to it, so don’t come here expecting anything fancy. But there is a cappuccino machine at The Shack (the barista may be out on a crayfish mission)! Although the campsite is set back a street from the beach, it will take you less than a minute to get there. The water’s icy and tempestuous tides often dump seaweed on the sand, but the dunes and rock pools below the lighthouse are great for exploring. Wild camp spots near the town are relatively peaceful, but out of season the municipal campsite is largely deserted anyway. The sea, for diving, swimming and surfing, is less than 20 metres away from the ‘resort’. Frost-fisted waves of Atlantic rollers pound a sun-drenched shoreline of strandveld that for most of the year looks a bit bedraggled, but bursts into colour during spring flower season. Hundreds of Cape fur seals weave through the rich kelp forests and come ashore to warm up on the rocks. Do It There are nine campsites on this stretch of protected coast spread out across 40 kilometres. From south to north they are: Groen Rivier (12 sites), Delwerskamp (seven), Kwass se Baai (four), Varswater (four), Bamboeskamp (four), Skuinsklip (two), Koringkorrel Baai (five), Skuinsbaai Noord (two), and Boulderbaai (six). Bring all your camping equipment, drinking water, food, and other supplies. 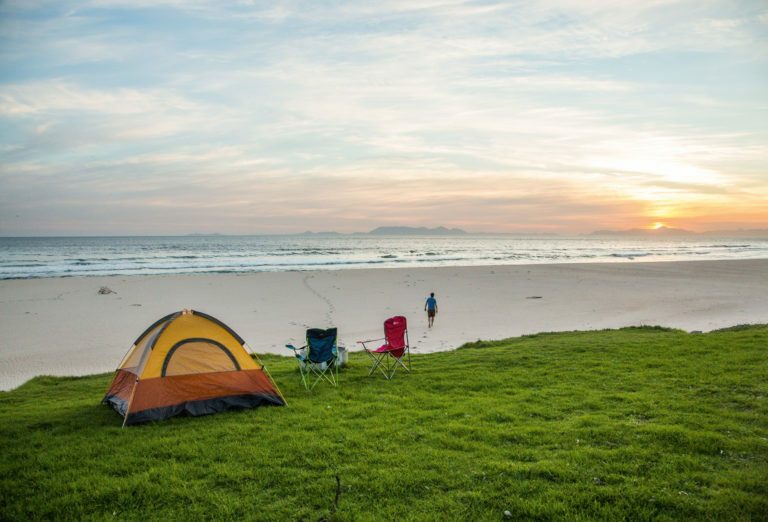 The camping-only resort forms part of the Kogel Bay Biosphere Reserve and there are three nature walks just over the road. 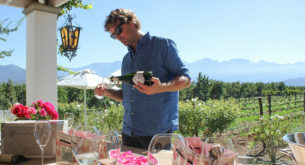 There’s only one problem with the Namaqua West Coast region – too much wine and way too little time to drink the stuff. Add to this the fact that Namaqua residents do not seem to have an off-switch, and you have either paradise or purgatory. Strandfontein is a case in point. It’s a languid dorp for most of the year, but come summer it’s packed with sunseekers looking for a good time. Strandfontein Holiday Resort is the hub of this bakkie-and-beach party, with two sections of campsite grass unfolding right onto the main beach. Fortunately, out of season there’s usually not a soul in sight – cue me and my surfboard. 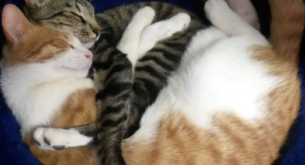 And, yes, there’s wine. Just down the drag in Doringbaai, you’ll discover Fryer’s Cove Winery in a unique setting right on the old harbour pier. It’s hard to beat the setting of Kogel Bay Resort. In fact, if you were to camp any closer to the sea you’d be sleeping on the sand. Lush grass banks cascade onto a sandy beach overlooking False Bay, with the fynbos-clad Kogelberg forming a natural amphitheatre behind you. During sunset, these mountains take on a golden glow that’s striking enough to interrupt even the most intense beach-bat game. Tip Be safe from the sharks – swim in the tidal pool . The Outeniqua Choo-Tjoe steam train used to run through Vic Bay, hence the name of one of the camp terraces. In the waves, look out for SA’s top female surfer, Bianca Buitendag, who calls this tiny cove home. 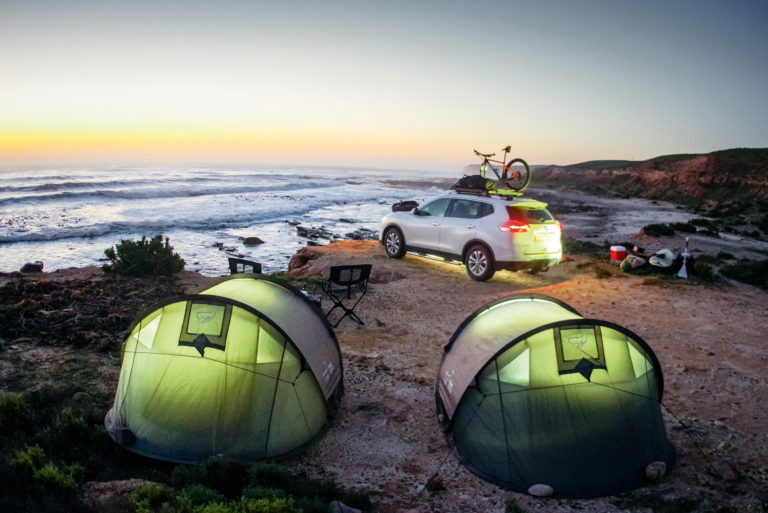 In the shaggy green cliffs overlooking Victoria Bay, three separate camping areas cut long, neat strips into the bluff. These three grassed terraces – Western, Railway and Sea Breeze – sit above the bay’s charming tidal pool and sandy beach, which from Western and Railway terraces can be reached via a few steep stairs. Both have excellent sea views, but Sea Breeze is situated above the busy car park. During school holidays and especially over Christmas, the bay fills with day-trippers and the beach gets crowded. Out of season, however, it’s sleepy and serene, popular for surfing and angling and an excellent place to chill out and spot whales (from May to October). Railway Terrace has expansive views over the beach, but Western Terrace is the more popular, with stands lying side-by-side along the cliff face, offering a 180-degree panorama that’s especially spectacular at sunrise. Park the car and hide your keys because everything you need for a family holiday is within walking or cycling distance from your tent. 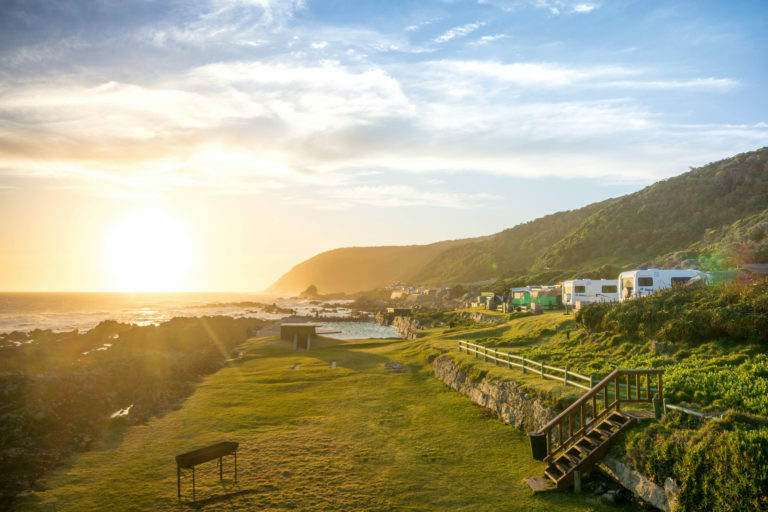 Buffalo Bay Caravan Park takes the estate-agent maxim of location, location, location to the extreme, with 180-degree sea and beach views from each of the 85 grassed and level sites. In fact, buffeted by a vicious westerly gale on our first-ever visit, we fell victim to our sea-front perch, two-odd metres above the rock pools. When the squalls cleared the next day, we had to retrieve our kettle, tent pegs and a toddler’s plastic bike from the water. It was a horrible night for tent living, but the view was menacingly spectacular, with writhing swells filling the bay and plumes of spray being whipped backwards like mermaid’s hair. In kinder weather, the views from Buffels campsite (as it’s colloquially known) are often of surfers sharing the waves with schools of dolphins. A white crescent beach runs for miles from outside the park gate to Brenton on Sea near Knysna. It’s great for walking and at low tide, cycling, too. The water’s warm, the beach (lifeguard-patrolled in season) is good for swimming and surfing, as is the rocky point fronting the park (although there have been some shark incidents in recent years). Safe snorkelling in the rock pools turns up marine life far more interesting than a blackened kettle, and rock and sea angling is a biggie – there’s a slipway adjacent to the park to launch skiboats. 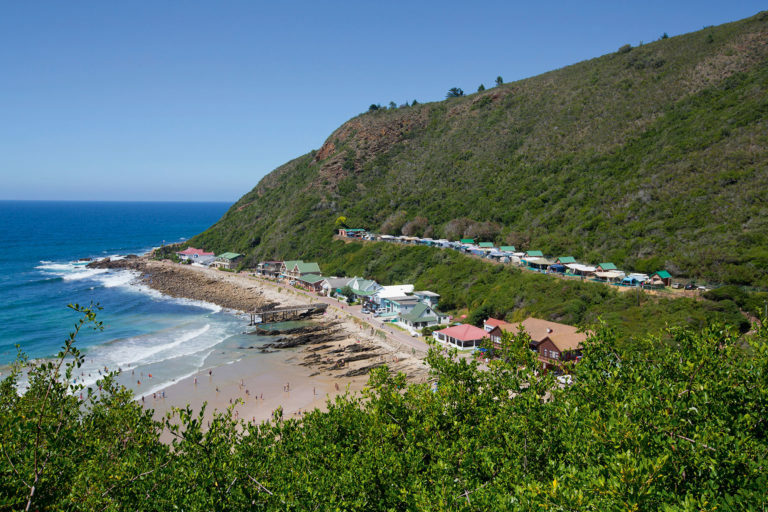 Campers enjoy the best views of all the accommodation options at Storms River. 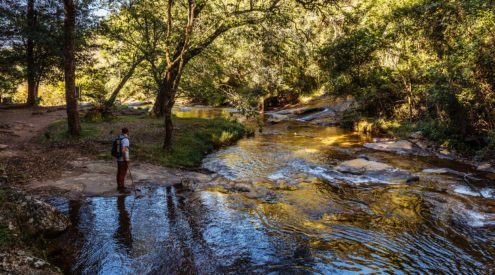 This camp falls under the Tsitsikamma section of the Garden Route National Park, encompassing the oldest marine-protected area in Africa. 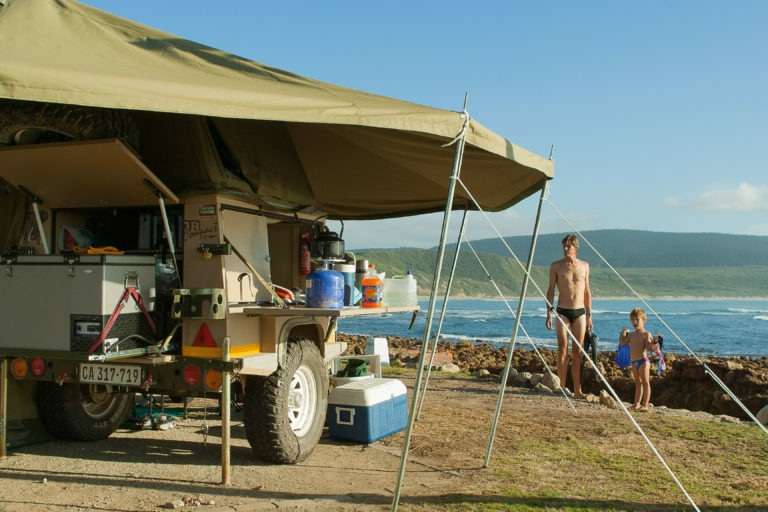 Tsitsikamma means ‘place of much water’, which is totally appropriate because some of the campsites are so close to the sea you can feel the spray flicking onto your tent. 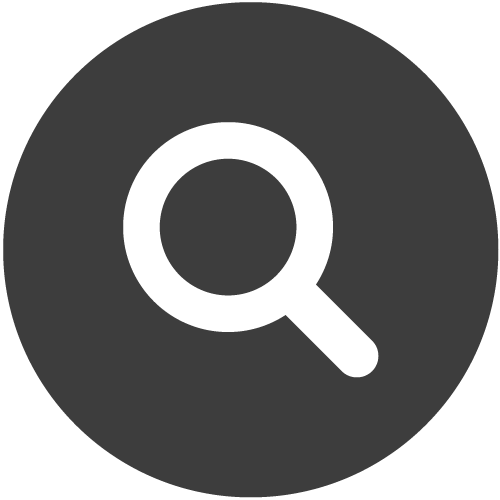 Accessed via a tarred road, the sites are spread across a grassed area overlooking the Indian Ocean. Facilities include well-kept ablution blocks, a kitchen area, a well-stocked shop and the Cattle Baron Restaurant at the reception. A cliff-top trail from Double Mouth to Morgan Bay is excellent for trail running, mountain biking or an hour’s stroll to the village’s main beach. 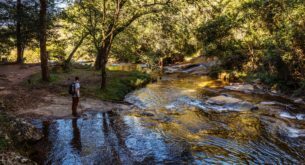 Not far from the muddy roil of the Great Kei River, you’ll cruise into the laid-back seaside village of Morgan Bay, where most visitors to this idyllic family holiday destination believe they have arrived in paradise. 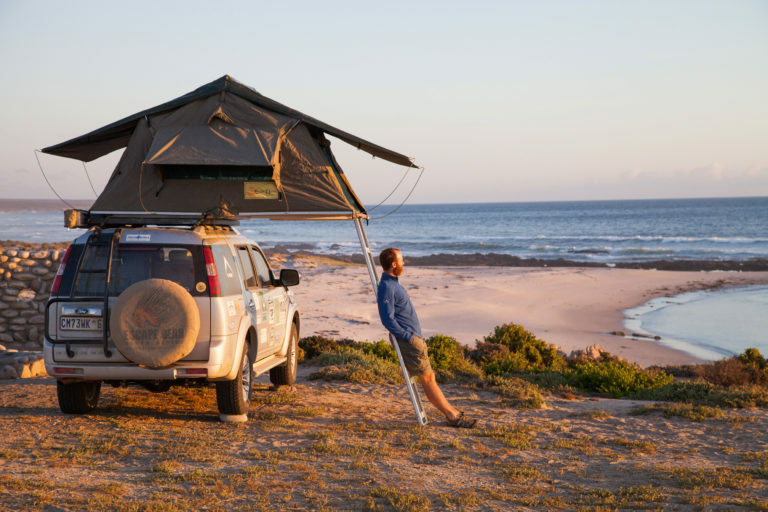 If you continue a further five or so kilometres along the dramatic dolerite sea cliffs to the south-west, you’ll arrive at the Double Mouth Lagoon, and this is, in my books, the country’s most idyllic seaside camping spot. Sets of warm waves crash onto a pristine beach, and you can run or fat-bike for days if you’re keen to explore towards Haga-Haga and beyond. Or reverse direction and head past Morgan Bay to cross the Kei River by pont into the Wild Coast proper. Do It There are 30 level, grassed and shaded sites, each with sea views, a braai facility, tap and power point. 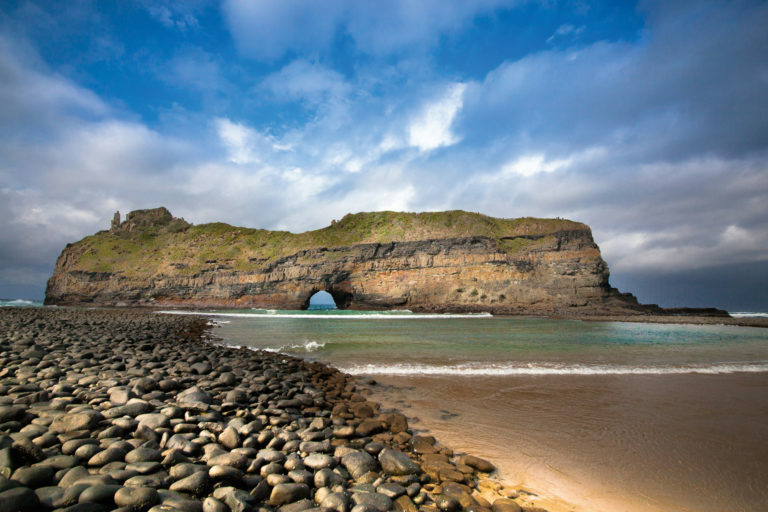 White Clay is well situated between the Wild Coast hot-spots of Coffee Bay and Hole in the Wall, an eight-kilometre hike away. 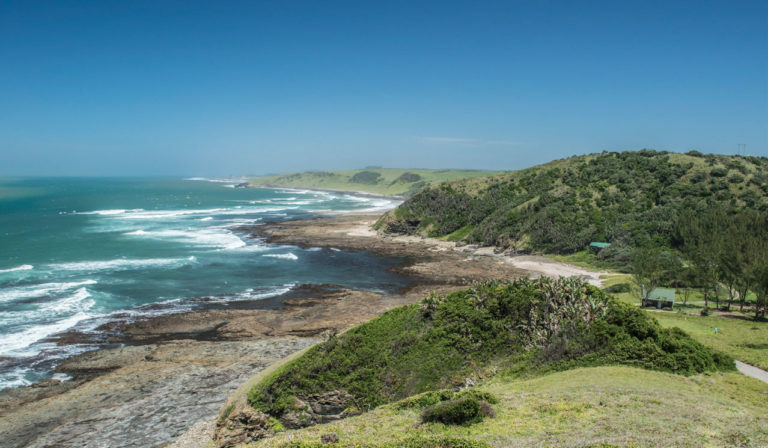 White Clay is a small, wildly beautiful campsite in the heart of the Wild Coast. It consists of three tiers of level stands on a grassy bank overlooking the sea, with ablutions just a few strides away. All sites have an unimpeded view of the ocean and surrounding cliff-tops – wake up to sunrise over the sea. It’s a short walk down to the beach which is good for fishing and swimming. 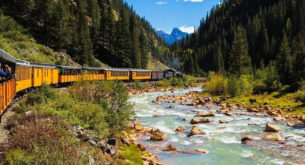 This is an ideal spot for active families who enjoy hiking and exploring. We spent our days wandering along the top of the sea cliffs dotted with grazing goats, rondavels and spectacular aloes. For the more adventurous, guided hikes to Port St John’s are also available, and horse-riding and quad-biking can be arranged. The celebrated Hole in the Wall and Coffee Bay are both a short drive away. During the winter months, you just may spot migrating whales and pods of dolphins from the camp. My sister and I spent our pre-teen years swimming on this fabulous stretch of KZN coast while visiting my grandparents, who lived here for 10 years in one of the log cabins. Camping here many years later, I was happy to find that not much has changed at this family resort – even the noisy yellow train still chugged past on its tracks behind the park. Many semi-permanent caravans are pitched in the best corners (some even have gardens!) and it looks like a delightful way to spend your golden years. A sprawling resort, Rocky Bay has more than 160 campsites, either tucked into indigenous bush or facing the beach, where dolphin sightings are common and, in season, whale sightings too. Campsites are on level, well-compacted grounds, fringed with lawn. Children flit between jungle gyms and explore the rock pools – thanks to local women who sell buckets, spades and colourful fishing nets at the resort entrance. There are plenty of places to swim, with lifeguards on duty in the main bay, and wonderfully wide, quiet sections of beach further south. The resort also has a swimming pool, volleyball court, games room with table tennis and pool, and the nearby Sugar Post Restaurant (a homemade pie is just R55 and a burger R60). A decent shop at the entrance stocks all the essentials (like ice cream!). 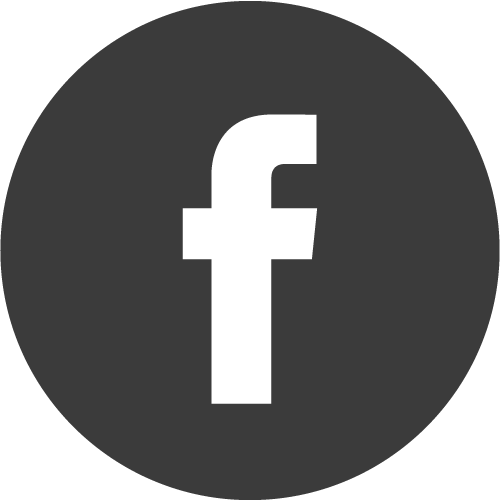 Do It Each stand caters for a maximum of six people, one car and caravan or tent and costs from R215 per person. 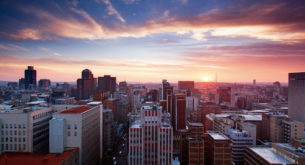 Pensioners can rent a site at R3,235 for a full month in off-season. Weekend bookings need a minimum two-night stay; December/January bookings require minimum 14 nights. There’s a braai area on each site, but bring your own grid. Dogs (two small ones per site) are allowed out of season and by prior arrangement. Shark dives costs R950 per person, sharkcagedivingkzn.com. It looks sandy, but you don’t need a 4×4 for the campsites at Cape Vidal as the access road is tarred almost all the way from St Lucia. 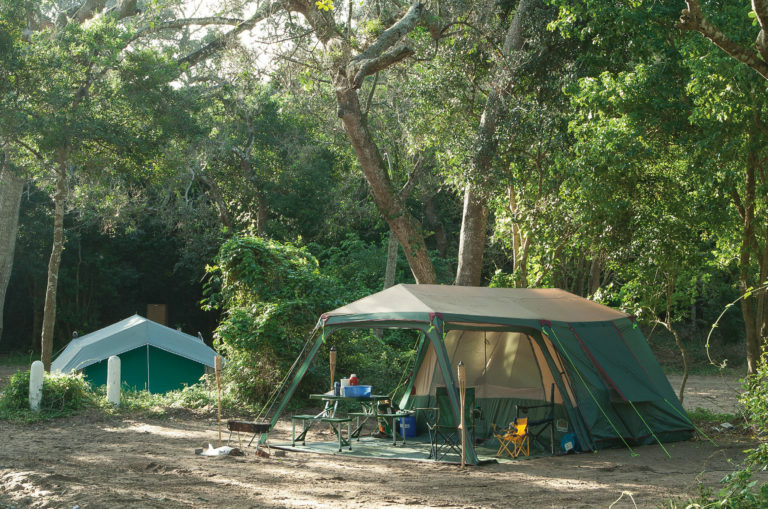 Cape Vidal’s campsite is tucked below a forested dune between Lake St Lucia and the Indian Ocean. 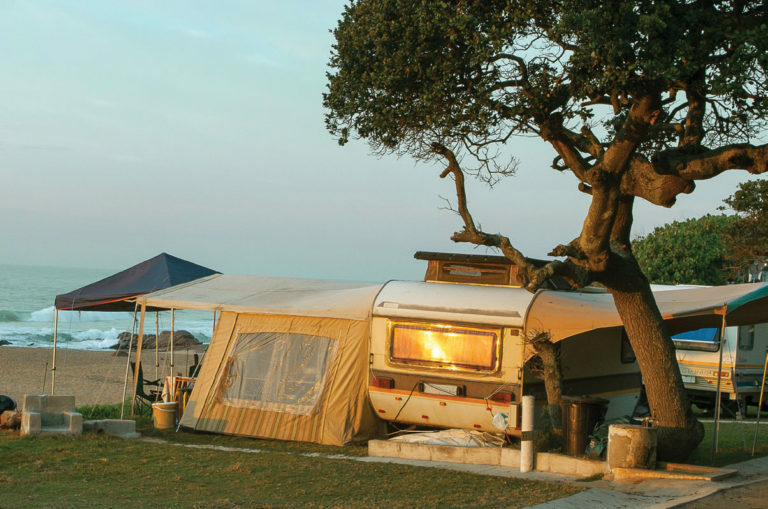 Shaded from the subtropical sun by a canopy of mahogany and albizia trees, the campsite is a short, sleepy stumble into the warm sea, which is home to dolphins, humpback whales and five turtle species. 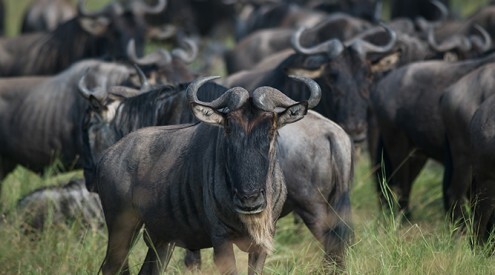 On its own, it would rank as one of the country’s prettiest settings, but it’s made even more special by its location in iSimangaliso, South Africa’s second-biggest – and most naturally diverse – park. Booming waves and birdsong are an ever-present soundtrack, with solo performances from howling hyenas and grunting samango monkeys. A broad beach stretches for several kilometres north and south. You can walk for hours without seeing anything man-made. Head out early on a game drive to spot white rhinos, kudus, hippos, and even leopards, which can sometimes be seen on the forest roads. During summer, the beaches are nesting sites for rare leatherback and loggerhead turtles, the largest population on the south-east African coast. Rock pools of oceanic wonders make for great, safe snorkelling at low tide. The marine-protected area permits some fishing, but remember to cast lightly and responsibly – seems wrong, doesn’t it, to kill a beautiful fish in such a pristine place? Do It Cape Vidal is 25 kilometres from St Lucia. There are 45 campsites, with communal ablutions (hot showers) which cost from R560 for four people up to R800. 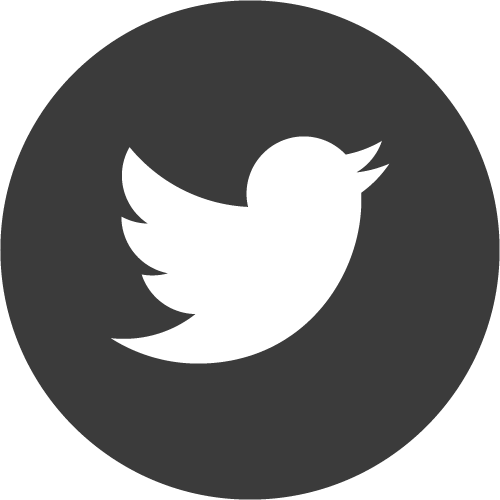 Additional people pay from R140 to R200. A nearby shop provides basic supplies. 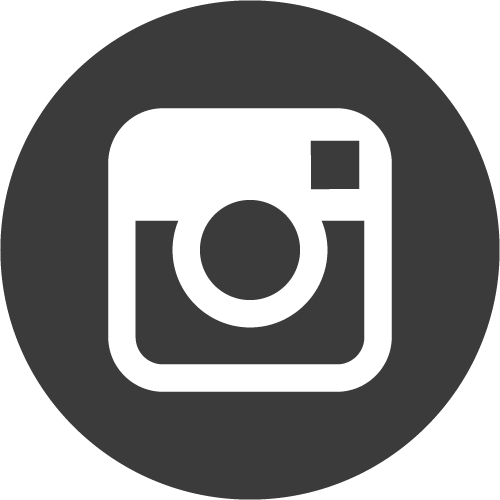 Several accredited companies offer guided nocturnal turtle tours during summer. Swimming in the glassy Lake Nhlange is enormously tempting, but keep an eye out for crocs and hippos. Just south of the Mozambican border on the Indian Ocean coast, Kosi Bay is the country’s largest lake system, with four lakes connected to one another and the ocean by twisting, reed-fringed channels. 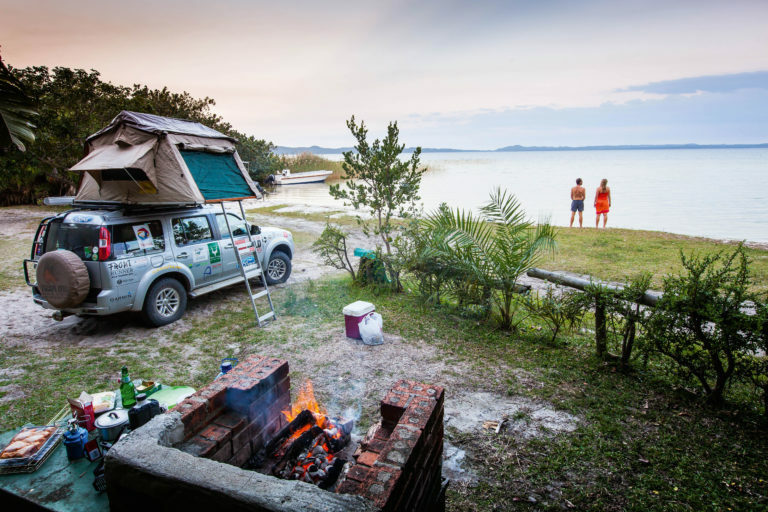 The campsite is on the western edge of Lake Nhlange, the biggest of the four dark-blue jewels. Each of the 15 unfenced campsites are secluded from one another by a smattering of coastal forest. At night, stay close to camp, as hippos wander around munching on grass. Fish eagles and rare palm-nut vultures fly over camp, the latter feeding on raffia palms, which grow only in northern KZN. Home to the Thonga people, Kosi Bay and its surrounds feel more part of Mozambique than South Africa. The curvaceous Thongan fishing traps harmonise perfectly with the lake’s surface and are a feature of the area. The designs of the traps date back more than 500 years and are still used today to catch a variety of estuarine fish (though catches have declined in recent years due to overfishing). Keep in mind that you must always ask permission when taking photos of the local fishermen. Boat tours at Lake Nhlange to Lake Makhawulani are a must-do, and a variety of companies offer this service. Set aside a day to drive to the estuary in the north, to snorkel in the shallows and spot the likes of Moorish idols, but don’t get too close to the lionfish with their venomous spines. The odd moray eel also lurks in the shallow corals.